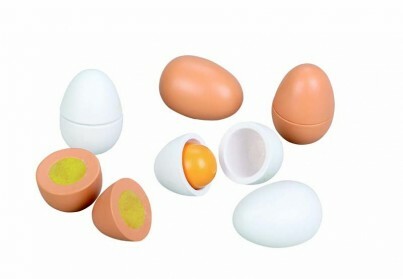 These delightful Wooden Eggs are perfect to add to your little ones kitchen. 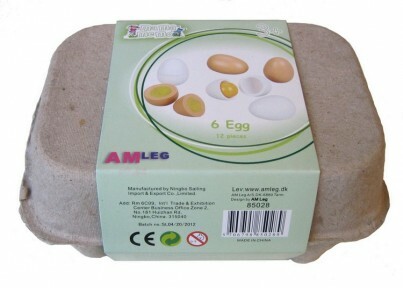 they come in a Standard Size Egg Box with 3 Varieties of Egg: 2 Hard Boiled, 2 Crack Open, 2 With Velcro For Cutting. 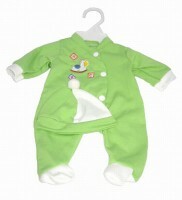 Ideal Accessory For Cookers and Market Stalls, Playing Shop or Farmers.